I cannot stop praising these products, the flavor is on point, mixes great with almost anything and the help wonders for my pain and extreme insomnia. The difference in my quality of sleep when I take this compared to without is amazing. 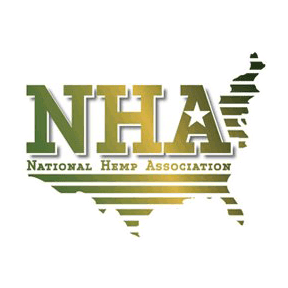 Love what this company is doing for tons of people. Highly recommend to anyone on the fence. First night only took a 1/3 of the recommended dosage, was out like a light in 30 mins. It has such a good cherry taste to it and I’m definitely going to get more. Thank you for the BOMB syrup. As someone that deals with chronic pain I’m in love. Constant pain causes depression, anxiety and a really bad mood. Cloud nine made me tolerable to my husband and the world in general. Thanks for this. Can’t wait to try them all. First time buy and i will def be buying again! This really helped me sleep, relax and took away my pains! It’s amazing!!!! Being someone with Celiac Disease this helps with the chronic pain I get from time to time. I felt so relaxed and finally slept to wake up refreshed! So amazing!! Was recently in a car accident that was not my fault, and now my car may be totaled. I lay awake at night with back pain and worry that the insurance company isn’t going to give me anything for my nearly perfect car. With Cloud 9, I am able to fall asleep fairly quick and get a good night’s sleep. I just wish these insurance companies were as quick as Cloud 9. I’ve been buying the Cloud N9ne Syrup for about a year now, I have GAD (generalized anxiety disorder) and severe panic attacks, insomnia and this syrup is the best thing ever for it all. I can relax and not feel worried, my panic attacks are easily manageable when I sip, I get the best sleep of my life ever when I drink this syrup before bed and I wake up in the morning feeling refreshed and energized. It’s also fun to just drink and smoke a little when hanging out with friends. Definitely one of the best purchases I’ve made, and will continue to make! Thanks to Joe and the rest of the Cloud N9ne crew! I’m someone who has struggled with anxiety for a large portion of my life, and I can attest that Cloud N9ne helped me greatly with relaxing and even making me tired when I normally would be wide awake. Would highly reccomend to any who struggles with anxiety or has sleep issues. Ever since I’ve used this, I was skeptical about it. It relaxes me. I don’t feel over stressed. That body high is very nice. I ordered cherry but received strawberry which was still good! I’ve also tried grape which is the best so far! This stuff works. I was worried it wouldn’t work because nothing has. I struggle with anxiety and have the worst time sleeping. I tried this and the first night I slept like a baby. I woke up the next day felt amazing. I will definitely be reordering! The cherry bomb flavor is awesome!! I Enjoyed it very much! Great for a good nights sleep. Will buy more! I tried it with my friend and we split it half and half. We both poured 2 fl oz into cherry sprite and it was both delicious and effective. Definently will try buy again. Good for sleeping. Best mixed with sprite or some kind of fruit juice. Great product, will purchase agian. I totally love this product!!!! Recommend it to every one!! Great taste!!!!! By fsr Cloud N9ne shruo has definitely helped my insomnia and anxiety i highly recommend this product to anybody who is trying to try out CBD products. All the medical beliefs without a stoney head high. Never really got the body high sensation but this product definitely helped me sleep better! I felt no grogginess the next morning. Did experience a couple headaches mostly because I overdid the dosage but other than that it’s a great product. This is probably one of the best products I have ever tried. The taste is spectacular and mixes well with different drinks. I purchase the syrup for my son who suffers with Muscular dystrophy, chronic back pain, anxiety, depression, and sleep apnea, along with some other major medical issues, I can not tell you what this syrup means to him, when he is taking it he can actually function i n the day to day of life. Thank you so much for this product. I was unsure about this flavor when I ordered however I mix it with a lemon/lime soda and it tastes great. I love the results I have gotten from this product. Thank you for bringing it to us. I’m hooked now. It was heaven in a bottle and I have never been able to go to sleep in 20 mins, but with Cloud N9ne I did. Just ordered two more bottles. Cloud N9ne Cherry Bomb syrup tastes great & helped with my chronic pain & anxiety. Hopefully they start making bigger bottles! I have terrible insomnia and normally with taking PM pills I still can’t go to sleep. By the time I fall asleep I have three hours until I have to get up and I sooo drowsy. Well not the past two nights I took this and was sleep within an hour which hasn’t happened since I was a teenager. I will be ordering again and more. I’m so glad I decided to buy this CBD syrup! I love the taste of it and it defiantly helps a ton with my anxiety as well as my insomnia. It even helps if you have a sore throat! It blends well with almost any drink (even water). 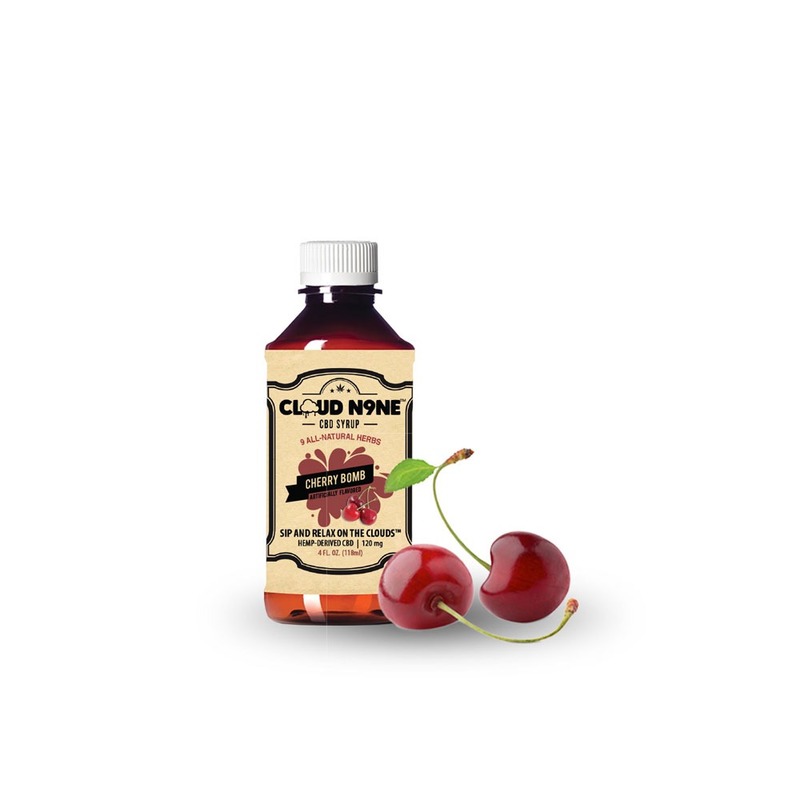 CloudN9ne syrup in Cherry Bomb is so good , I’ve got fibromyalgia and anxiety and this CBD has made a believer out of me , I love being pain free !! Thank you !! !